Tom is a Manager at a big box super store, poised for a big promotion. But when he is rejected for the opportunity, lamenting the time he devoted to work over family, Tom and his wife decide to change course and start a family business. They pack up their kids and move to a small town to take over a run-down garage bequeathed to them by Tom’s estranged father. They sink their savings into renovating the garage, only to get another unfortunate surprise - the title to the property has been contested and now must be sold at public auction, with the family’s arch nemesis poised to take over the land. 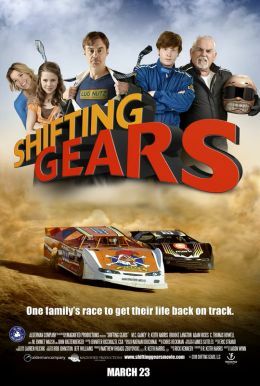 And so in a last-ditch effort to avoid financial ruin, Tom and his teenage son join forces with local, old time racer “Dirty Harry” Hawkins and enter the Dirt Track Grand National.